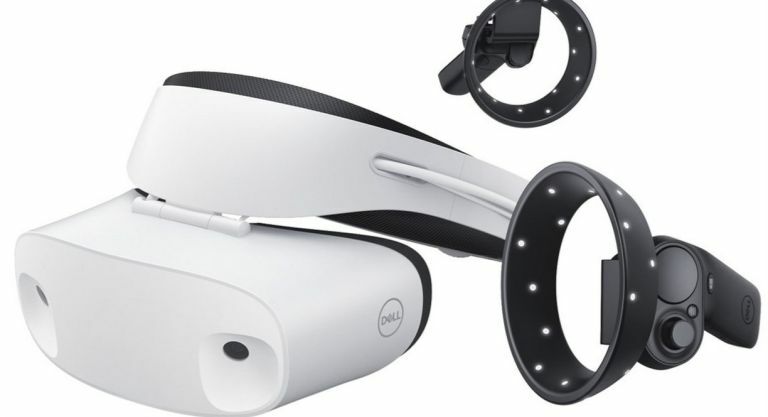 Dell has revealed pre-orders for its Windows Mixed Reality headset, the Visor, have now gone live worldwide. The headset features a high resolution of 1440 x 1440 per eye, dual 2.89-inch LCD panels and a refresh rate of 90Hz. The Fresnel lenses also deliver a field of view of 110 degrees and a breathtaking 360 panoramic view. The Dell Visor isn't the only VR/MR device the firm has been hard at work on, with the VR-ready mobile workstation, the Dell Precision 7720 already out in the wild. According to Dell, the VR market expected to, "grow to more than 215 million active users by 2025," so it's hoping its new Visor product will form a big part of that boom. You can pre-order a Dell Visor direct from Dell (and from PC World) for $349.99 (£258) today. Shipping is due for the 17 October 2017. SteelSeries and computing accessories maker Targus have teamed up to create the Sniper, a new gaming backpack that's designed to carry and protect your gaming laptop, consoles, peripherals and more. The SteelSeries x Targus Sniper Gaming Backpack is designed to carry and protect an assortment of equipment. With a durable exterior, robust padded laptop compartment and SafePort Sling Protection system that suspends your laptop and keeps your tech protected. Offering superior protection for your gaming laptop, console and more. Available starting today from select online etail partners, Game and on SteelSeries.com/sniper http://steelseries.com/sniper for £129.99. Pioneer is preparing to launch a brand new range up updated DJ-focused headphones, the HDJ collection. According to Pioneer, the range has been designed to offer, "outstanding audio quality, superior durability (with all models having cleared the US Military Standard MIL-STD-810G Shock test) and improved functionality. The HDJ-X10 features high-res sound ranging from 5Hz to 40kHz, the HDJ-X7 has a four-core twisted structure cable ensures superior left and right channel separation and the HDJ-X5 has distortion-free monitoring. The new Pioneer DJ Headphones range will be available later this year and will retail for £299 (HDJ-X10), £179 (HDJ-X7) and £89 (HDJ-X5).